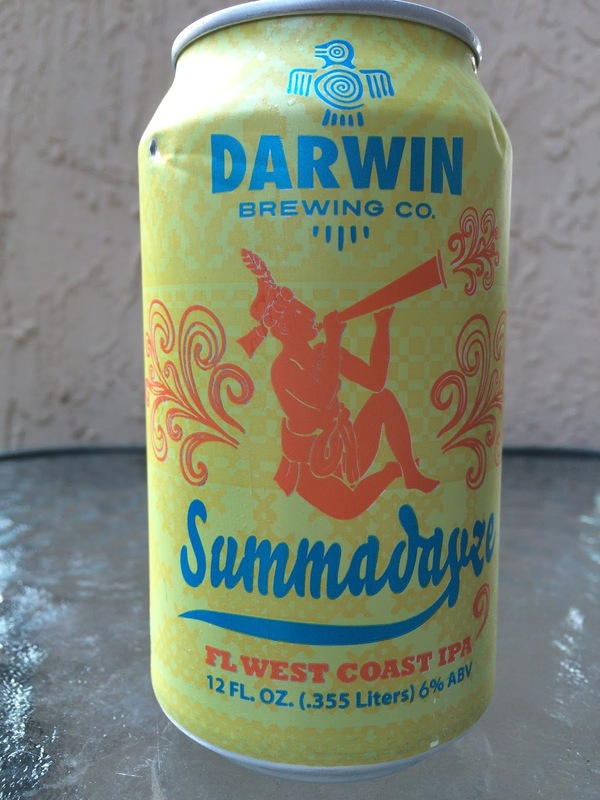 Today I'm checking out a can of Summadayze, a "Florida West Coast IPA" brewed by Bradenton's Darwin Brewing Co. The can depicts a kind of abstract Indian either smoking a long pipe or tooting a weird horn. You choose! A story on the back sets you up with expectations and pairing ideas. 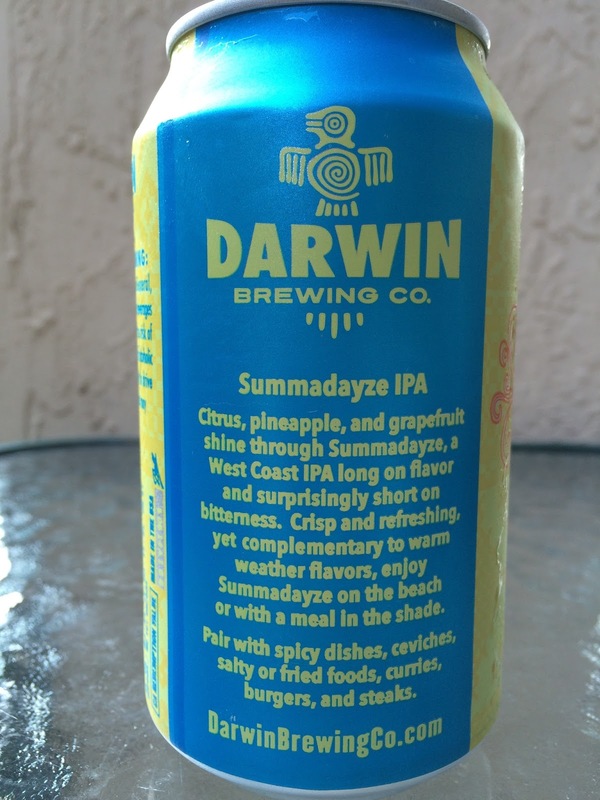 6% alcohol. Almost zero head, was a little strange. 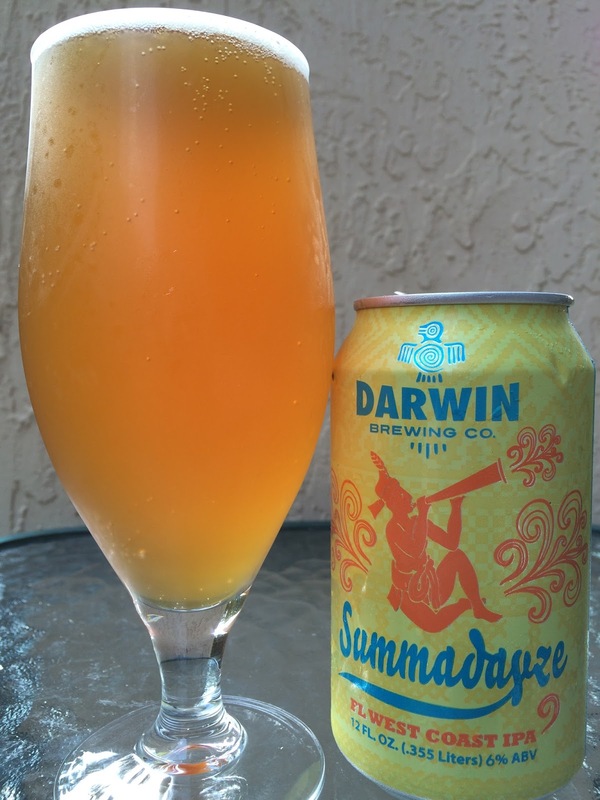 Tropical orange aroma, lightly sweet and certainly not jumping out of the glass. Big bitter zesty grapefruit citrus starts along with some floral aspects. Tropical hints add a little sweetness. However, like the aroma, the flavors are somewhat muted. Fruity sweet and piney, citrus bitterness, a generic mash-up of flavors. Dry and lightly astringent finish. Not bad but no wow!